Fossil Rim will be having an Earth Day Celebration this Friday to Monday, April 19-22! If you are visiting during that time, be sure to stop by the Children’s Animal Center to learn why animals become extinct or endangered and what you can do to help! The blogs posted this week all relate to the acronym HIPPO – Habitat loss, Invasive species, Pollution, Poaching, and Overharvesting – which are the major threats to biodiversity. On April 22, 1970, more than 20 million Americans took part in peaceful demonstrations in favor of environmental reform. These demonstrations took place in 2,000 universities, roughly 10,000 primary and secondary schools, and hundreds of communities across the United States. This was part of the first “Earth Day”, an international event which is still the largest secular holiday in the world, celebrated by more than a billion people every year. There were once more than one million Attwater’s prairie chickens on the gulf coastal prairie, but due to habitat loss this grouse is now the most endangered bird in America. Every Earth Day has a theme focusing on one specific facet of conservation, and the theme for 2019 is “Protect Our Species.” Over 50 exotic and native species reside at Fossil Rim, and we are proud to act as a conservation center for those animals in dire need of protection. As Earth Day (April 22) draws near, we are hoping to educate people on the five main ways in which humans are causing animal extinction. They can be remembered with the acronym H-I-P-P-O, and we’ll be starting today with “H”: Habitat loss. A habitat can be defined as the natural environment of an organism. It encompasses the physical space in which an animal lives as well as the resources available to it, such as food, water, and shelter. Fossil Rim’s avian specialists work hard to produce healthy Attwater’s prairie chickens that can be shipped to refuges in Texas on the land where they once roamed naturally. From generation to generation within an animal population, individuals become better-adapted to live in their habitat to the point where many species are specialized to that habitat. Unfortunately for those species, this can come at the cost of being less well-adapted to other habitats, and the loss of an animal’s natural habitat can cause the extinction of that species. The most common cause of habitat loss among species today is the conversion of greater and greater amounts of land for agricultural purposes. Clearcutting of forests to allow for the planting of palm oil farms is a major problem impacting orangutans in Borneo and Indonesia, but habitat loss also happens closer to home. The coastal prairies of Texas and Louisiana once spanned six million acres. Today, only one percent of that habitat remains, as fertile coastal lands became ranches and cities. There used to be more than one million Attwater’s prairie chickens (APCs) roaming the coastal prairie, but now they are the most endangered bird in North America. Fossil Rim works tirelessly alongside our partners at the Houston Zoo, Caldwell Zoo, and Texas Parks and Wildlife Department to conserve this species. 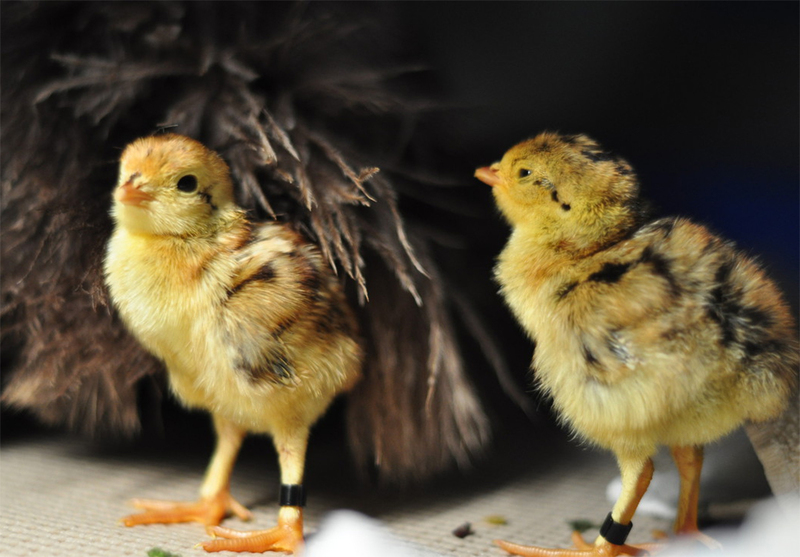 Our Attwater’s prairie chickens begin their lives at our state-of-the-art breeding facility, and our animal care specialists care for them as they mature. 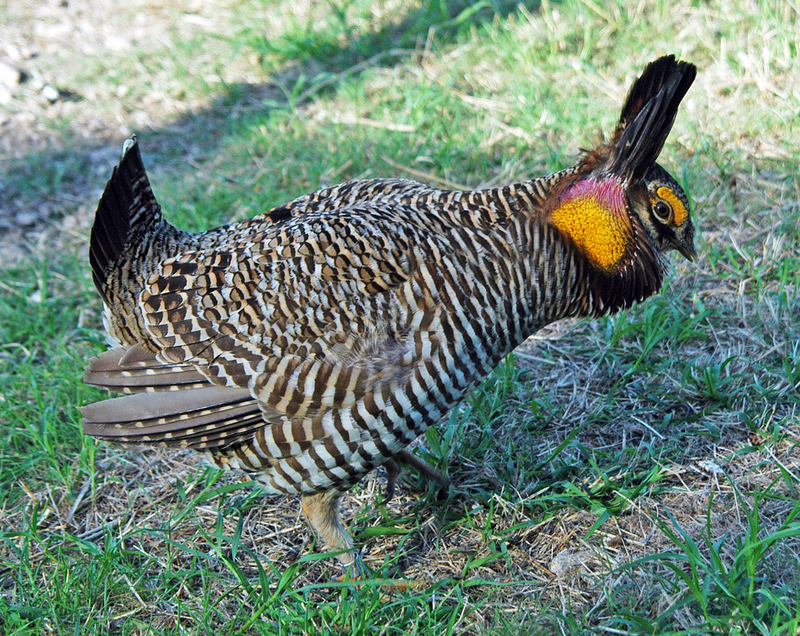 In the summer months, certain individuals are chosen to be released on two private reserves, the Attwater Prairie Chicken National Wildlife Refuge and the Texas City Prairie Reserve. They are outfitted with radio collars and distinct leg bands to allow biologists to routinely check up on their progress. In order to prevent further destruction of habitats, it is important to support national and state parks, wildlife reserves, and urban green spaces. 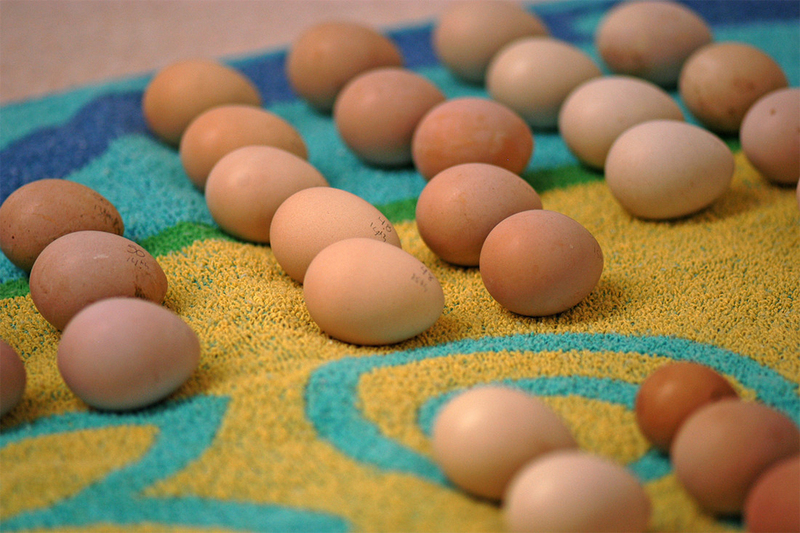 If you want to learn more about Attwater’s prairie chickens and our efforts to return them to their natural habitat, come visit our APC facility on a Behind-the-Scenes Tour or visit the two males we have as ambassadors at our Children’s Animal Center!